Thomas More is a university college in Belgium with more than 17.000 students on 12 locations. KU Leuven (Belgium) is the Flemish offshoot of the oldest university in the Lower Countries which was originally founded in 1425. The University of Porto (UP) with its 14 faculties and a management school is the largest higher institution in Portugal. The Hague University of Applied Sciences (the Netherlands) focuses its education and research activities on urban and metropolitan themes. The identity of University West (Sweden) is founded on a clear focus on education, work integrated learning and research of high quality close to the working field and applicable. RVO-Society is the coordinator of the ‘Cera Award’-project. 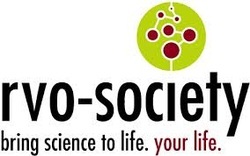 RVO-Society brings to CSE its experience and a lot of good practices of innovation in the social profit sector.